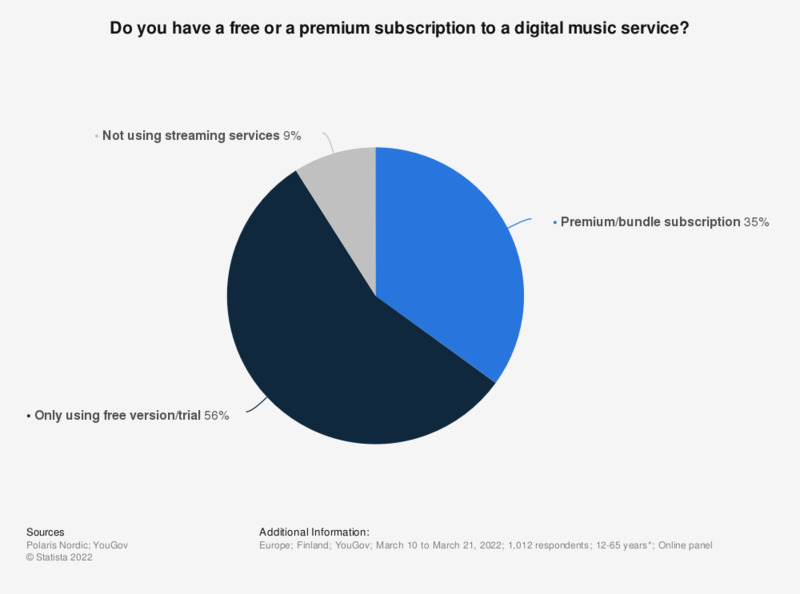 This statistic shows the result of a survey on the usage of digital music services in Finland in 2018, by subscription plan. According to the survey, 67 percent of respondents subscribed to a free/trial version of a digital music service. As reported by the source, 82 percent of the Finnish population subscribed to a digital music service in 2018. Popular digital music platforms in Finland include the Swedish music, podcast and video streaming service Spotify and the Google-owned user-generated video content site YouTube.